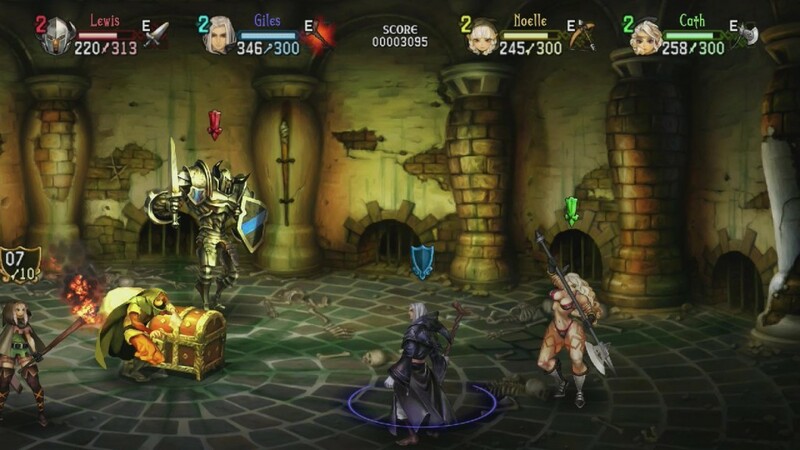 Vanillaware, a Japanese game developer known for Muramassa Rebirth, Odin Sphere and others, brings an old school beat’em up side-scroller that goes with the name of Dragon’s Crown. This game was already released for PS3 and PS Vita in July 2013 in Japan and Europa finally got their hands on it in October 2013. Apparently, the king of Hydeland is in search of a mystic object, the so called Dragon’s Crown which provides the owner immense powers. The assignment comes to you to aid in this quest of finding the crown and especially, to keep it out of the hands of the less friendly folk. As you may have guessed, not only the king is eager to get his hands on the crown and soon plots and conspiracies are uncovered. There are some interesting twists in the story and overall, it was an enjoyable narrative but it felt like it could’ve used some more original ideas to set itself apart from similar stories. This side-scroller has a really interesting looking graphical style. There are no real cutscenes as the story is told by pictures of people and a narrative voice that’s the same throughout the whole game. As you start the game, you will notice fast enough that some aspects of the human body are much emphasized and yes, I’m mostly talking about female curves. Luckily for us women, there’s still Roland, the massively muscled Barbarian Warrior who you’ll encounter in the first hours of playing. As already mentioned, here you won’t watch the usual cutscenes you find in other video games. Although there’s sometimes a slight animation in the scenes, most of the time, the portraits of the NPC’s are rather static. This however doesn’t bother at all and it fits this sort of game perfectly. The special effects like among others magic spells, fire and flying arrows look really good and cause the screen to be filled with a lot of dynamic action. Bosses are also quite impressive and as every dungeon has a boss fight at the end, it’s a blast to discover what kind of creature gets thrown at you this time. 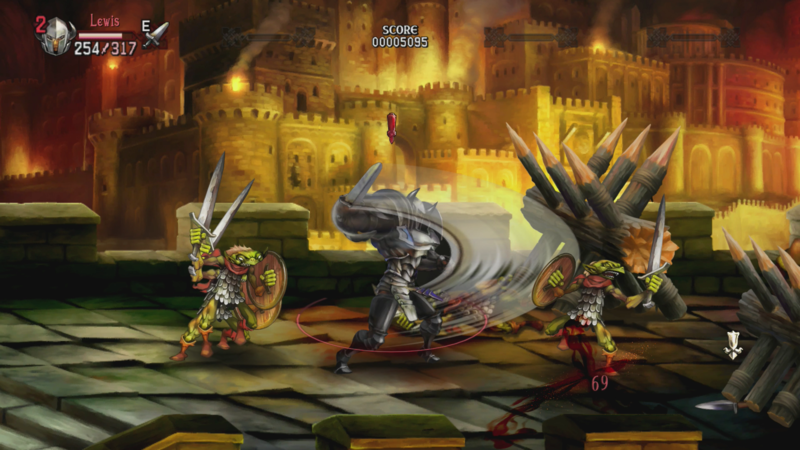 Dragon’s Crown has a wide variation of songs played at the different areas. Most of them are quite powerful and this really adds to the sometimes intense battles. The music is really a key aspect in bringing the dungeons and even the regular places (like the Adventurer’s Guild) come to life. The narrative voice that will guide you throughout the whole game is solid enough but sometimes it can be a little irritating that he repeats your current goal every time you leave or enter a new area. It’s practical when you reboot the game after a while so you know at once what is expected of you, but otherwise it feels like the developers think that an average gamer lacks the ability to remember something longer than 2 minutes. You start the game by choosing one of the six available characters sitting around a big round table in the local inn. The selection of chars is varied as you can pick a Fighter, Amazon, Wizard, Elf, Dwarf or Sorceress to go through Dragon’s Crown. 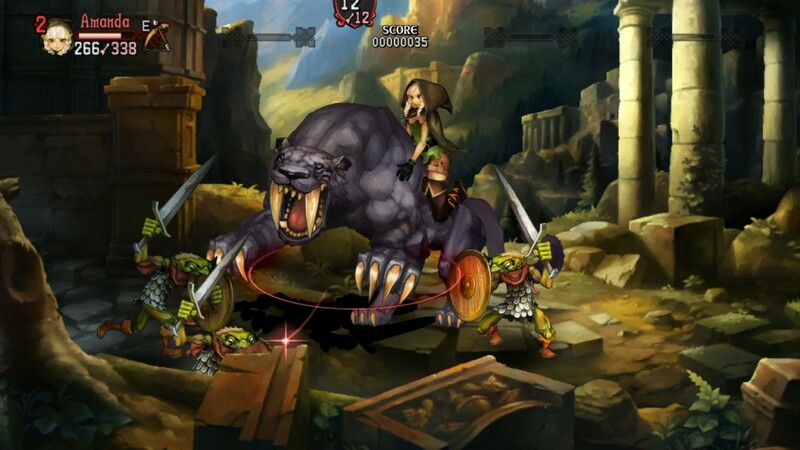 Depending on whom you choose, gameplay will be experienced in another way as a Sorceress for example uses magic to slay creatures while an Amazon is more into swinging around huge axes. Then for the actual fighting, there’s only one word to best describe the battle system: chaotic. Don’t get me wrong, the chaos created by up to 4 characters fighting at the same time in a limited amount of space, is really one of the most fun parts of this beat’em up. At first, you’ll be fighting on your own (which can prove a bit of a challenge), but later on, you’ll find the bones of deceased warriors who can be resurrected at the Canaan Temple to help you in battle. When you complete a dungeon, you’ll see all your treasures popping up on screen. There’s only one problem, you can’t exactly see if an object is good or bad as all information is blanked out. To fix this, you’ll have to spend your hard-earned money to “appraise” the items. Doing this will provide you all the information needed and then the choice is yours: keeping the item or eventually selling it. However, the system of appraising or selling your spoils doesn’t really matter that much later on in the game as money is not that big of a deal to come by. There’s also a multiplayer available but you won’t have access to it at the beginning of the game. It is required that the player has gone through the first 5 hours before being able to battle with online buddies. Even better is the ability to play with your friends sitting on the couch in real life. You’ll be playing this game for quite some while as the main story alone takes about 17 hours to beat and there are a lot of side quests to be completed although it could get repetitive after so many hours of grinding and finishing dungeons over and over again. 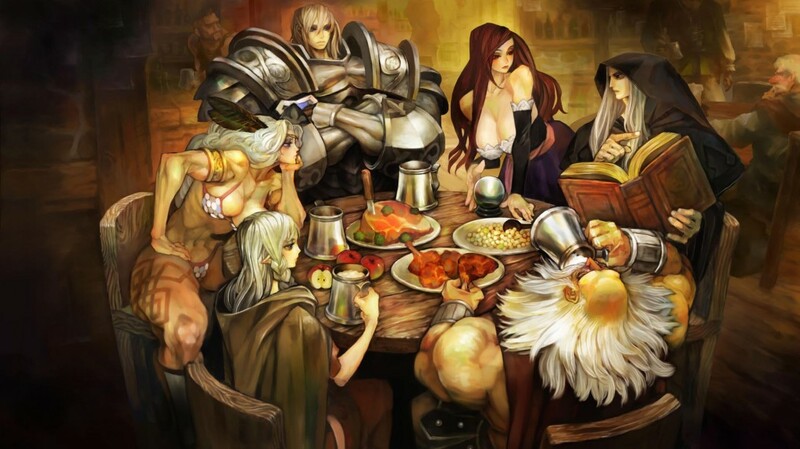 Dragon’s Crown delivers a fun, chaotic but rewarding beat’em up with an average story, a beautiful graphical style and intense music. As there are quite some side quests at hand and the main storyline is lengthy, you’ll get a lot of playtime for your money. Add the online and offline multiplayer and this game brings a nice package of long lasting entertainment.